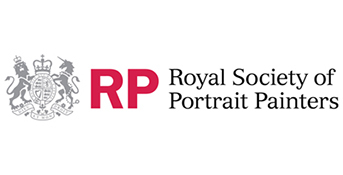 Founded in 1891 the Royal Society of Portrait Painters (RSPP) work to promote excellence in field, encourage and support emerging talent and facilitating the commissioning of portraits. In many ways this researcher in residency project continues these traditions, pairing Sara Ayres from Kingston University London with Annabel Elton of the RSPP in order to conduct original research into the changing dynamics of modern portraiture. Through a four stage programme Ayres examined the RSPP and its clientele looking to forecast short and long term trends, inform marketing strategies and conduct in depth qualitative research into commissioners, sitters and portraitists. Stage one of the project looked into existing databases and created a questionnaire for clientele. Stage two delivered this questionnaire and conducted interviews. Stage three analysed the results and wrote up the research. In stage four the pairing went public with their findings. Outcomes from the residency included Ayres’s research report and a lecture, Love and Legacy: Reasons for Commissioning in a Digital Age at the Mall Galleries in May 2014. The residency presented at the University of Vienna’s Scholars’ Monuments: Historical Meanings and Cultural Significance symposium in September 2014 and have subsequently been published in the Vienna Yearbook of Art History 2015. As a byproduct of the residency the RSPP managed to develop relationships with existing clientele and increase their customer base by 25%, they have also seen a significant increase in their turnover. Ayres has recently been awarded a fellowship at the National Portrait Gallery commencing in May 2016 and funded by the Carlsberg Foundation. Finally the RSPP has collaborated with an MA student from City University.